The kidneys may well be the most misunderstood of all the major organs. Patients often fail to grasp the seriousness of their condition and, without a proper understanding, cannot take appropriate steps to ameliorate their condition. Part of the reason for this is the very nature of kidney disease. Most of the damage of kidney disease has already taken place by the time the patient becomes aware that there is a problem. The “silent killer” is easy to ignore; and by the time some patients are roused into action, it is in a last-ditch effort to avoid dialysis. 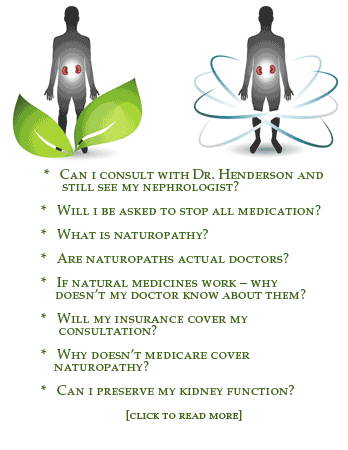 When attempting to properly treat kidney disease, patients usually first look to their nephrologists who typically use anti-hypertensive medications as a first line of defense. Only very rarely do they give patients any advice about diet. When patients press for further options they are offered more medications and are told that if they are lucky, eventually they will be transplanted. Those patients who venture outside of mainstream medicine in search of other options are confronted with confusing and often contradictory information, much of which is inappropriate to their situation. When there is a vacuum of sound medical advice, the internet often fills in the gaps. The patient at least feels they are doing something and not just passively waiting to go on dialysis. However, some good advice is usually mixed with a lot of bad advice. When cranberry juice and herbal diuretics don’t stop the progression of chronic kidney disease, the patient often feels they have run out of options.